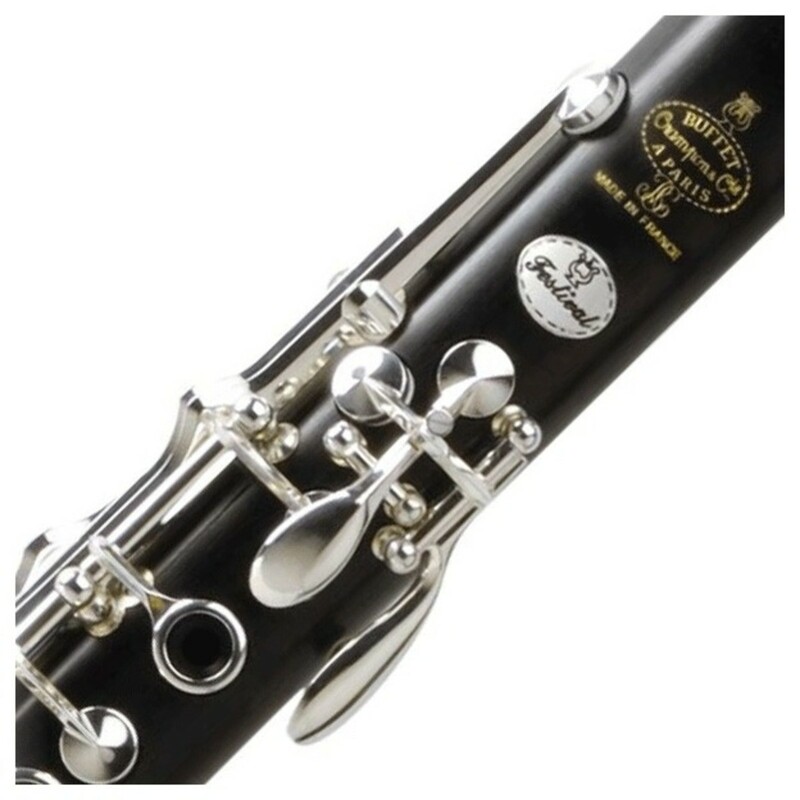 The Buffet Festival Bb Clarinet was designed back in 1987 with the recommendations of three highly recognisable artists that were known all around the world. Together Jacques Lancelot, Guy Deplus and Michel Arrignon all inspired the design of this, now very popular clarinet. The festival clarinet meets its players needs and ambitions and stands out in today's musical market. This instrument is ideal for musicians, soloists, and teachers. The Buffet Festival illustrates the largest possible repertoire of works from Mozart and Boulez. The new poly-cylindrical bore design combined with the Tosca inspired tone hole placement results in an instrument that presents a clear focused and weighted sound suitable for all playing styles and environments. These innovations result in the player being able to focus more on technical aspects, rather than voicing and embouchure alterations to achieve their tonal desires. 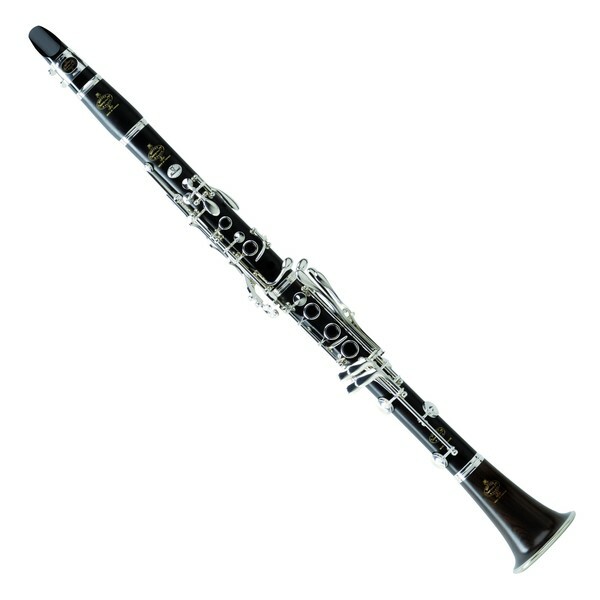 With any Buffet Clarinet, you are purchasing one of the best designed and manufactured clarinets on the market. The stainless steel rods and pivot screws are silver plated to provide strength, durability and a stylish look. The maillechort keywork (an alloy of copper, zinc and nickel) has been cold forged and plated in copper and then silver plating. This gives a smoother finish and a longer lasting set of materials. The waterproof GT pads meet undercut tone holes to create a fantastic seal and a sound that is full of tone. After all this, the instrument is adjusted and tuned to precise measurements by expert technicians before it leaves the factory. As a tribute to the clarinets of decades past, the key posts are left in their bare state, to give a vintage and aesthetically pleasing result. Since 1825 Buffet has developed around the recognition of its instrument manufacture. The guarantee of such quality is the charm to a player's heart and as all products are made in either France or Germany workshops, this quality is continuously reliable. All workers start as apprentices to learn everything they need to from highly skilled craftspeople, however the most important skills are dedication, passion and patience. Since birth almost every Buffet instrument has been continuously tested and developed. Listening to their player's needs, Buffet has adapted their instruments to cope with modern instrumental demands.